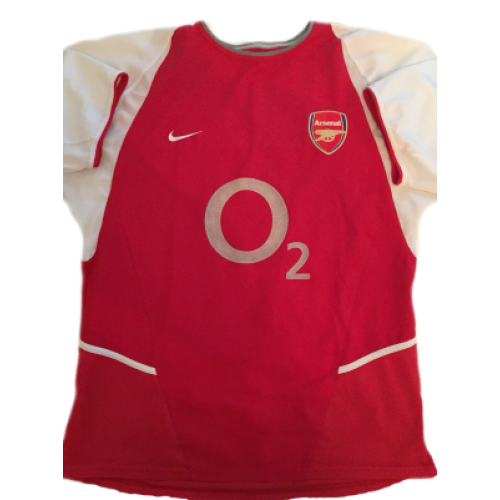 This red Arsenal retro shirt 2002-2003 with O2 sponsore was used of players like: Henry. Pires, Ljungberg and others. 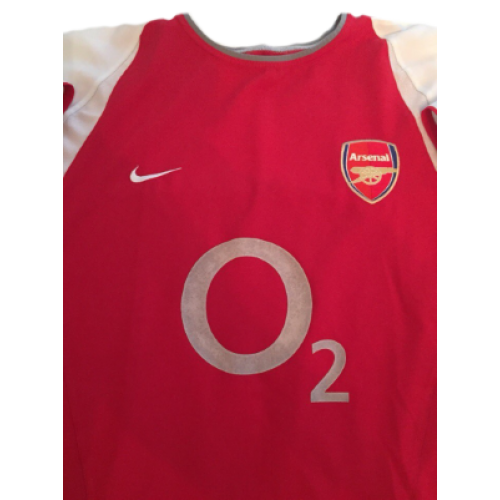 The 2002–03 season was the 105th season of competitive football played by Arsenal. The club retained the FA Cup, a feat last achieved by Tottenham Hotspur in 1982, but finished runners-up to Manchester United in the Premier League. In the UEFA Champions League, defeat to Valencia in the second group stage meant Arsenal exited the competition at the same round for the second successive year. 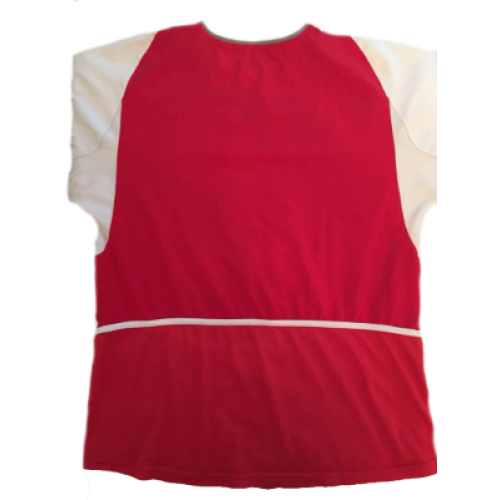 Arsenal began the new campaign as league and cup double winners, and manager Arsène Wenger sought improvement in the Champions League, a competition the club failed in. The retirement of defender Tony Adams meant French midfielder Patrick Vieira was appointed as captain; Pascal Cygan was signed as a replacement in defence. Other recruitments included defensive midfielders Gilberto Silva and Kolo Touré, while goalkeepers Alex Manninger and Richard Wright departed to join Espanyol and Everton respectively. In the league, a 4–1 win against Leeds United in September meant the club broke the record for scoring in consecutive games (47), and away league games without defeat (22). The club began 2003 in first position, but subsequently floundered; a draw to Aston Villa in April allowed Manchester United to move joint top. A further draw at Bolton Wanderers meant the league championship was, mathematically, out of Arsenal's hands and defeat to Leeds a week after ended their chances of retaining the league. 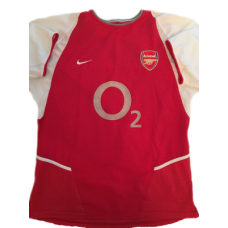 Consolation came in retaining the FA Cup; a solitary goal scored by midfielder Robert Pirès was enough to beat Southampton in the 2003 final. 30 different players represented the club in five competitions and there were 17 different goalscorers. Arsenal's top goalscorer was Thierry Henry, who scored 32 goals in 55 appearances.